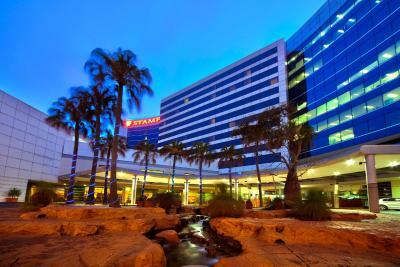 Lock in a great price for Stamford Plaza Sydney Airport - rated 8.6 by recent guests. 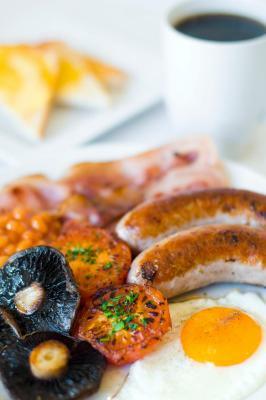 The staff were very friendly the dinner was very nice and the room was guite adequate. Very clean, easy to find (although road works made it difficult to navigate the entrance. The staff were very friendly and helpful. We received free parking and a free movie when there was an issue with the tv. Overall a good stay and very close to the domestic terminal. The swimming pool. Very comfortable air conditioned room. Staff very friendly. The rooms are old but nice, and they have a view of the airport. The shuttle bus is regular and the driver was very nice. Great comfort at the airport. It was a last minute booking after a flight cancellation and we were well looked after. Breakfast at $25 was good however the restaurant decor does not match the hotel at all. Over all, very convenient and comfortable. Location 850m walk to T3. An easy walk from Domestic train station. Car parking available and a clean room. A wonderful warm soak in the bath after a long shift. It was perfect for our needs. 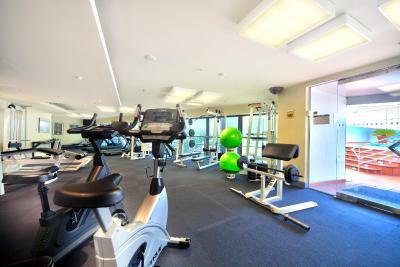 Boasting a swimming pool, sauna, hot tub and fitness centre, Stamford Plaza Sydney Airport is just 15 minutes’ drive from central Sydney. 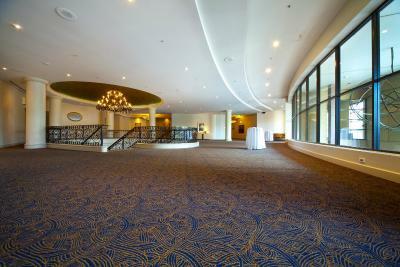 The hotel features soundproofed rooms with satellite TV. 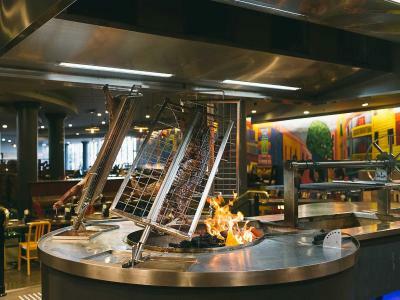 Guests can enjoy 2 onsite restaurants and a bar. 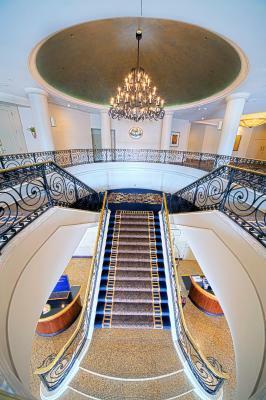 The Stamford Plaza is located within in 3 minutes’ drive from the domestic airport terminal and 10 minutes’ drive from the international terminal. Sydney Opera House is a 20-minute drive away. 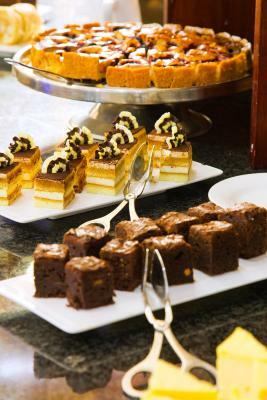 Each of the air-conditioned rooms offer a minibar, flat-screen TV and tea and coffee making facilities. 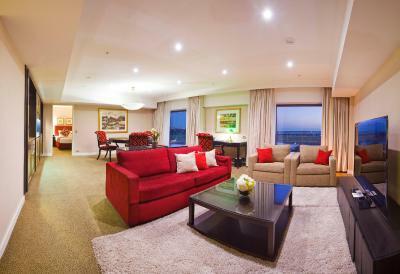 Many rooms boast views over Botany Bay, the city and the airport. 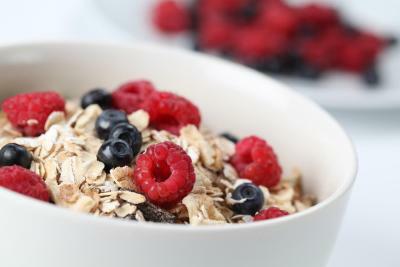 Guests can also enjoy 24-hour room service. 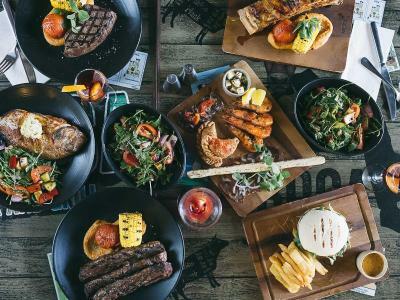 La Boca Bar and Grill Argentinian Restaurant boasts a traditional Asado cooking style using sublime Argentinean flavours. 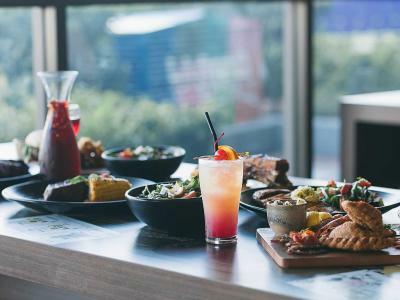 AV8 Bar and Café serves a selection of pizza, pasta and steaks. 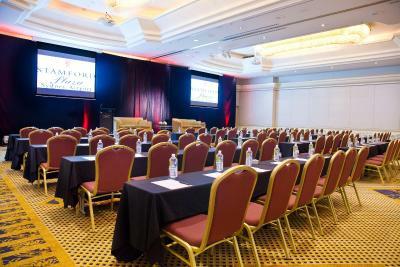 With 11 functions rooms, Stamford Plaza Sydney Airport can cater for diverse range of events from large conferences to small and intimate events. 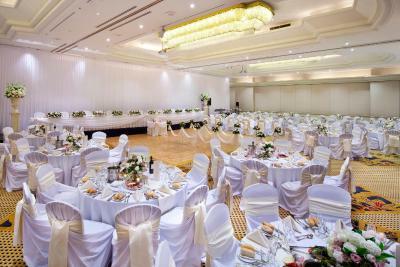 The 24-hour front desk can arrange airport transfers and dry cleaning services. Mascot is a great choice for travellers interested in tourist attractions, beaches and scenery. 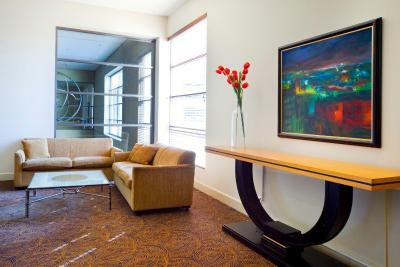 Stamford Plaza Sydney Airport has been welcoming Booking.com guests since 31 Mar 2009. 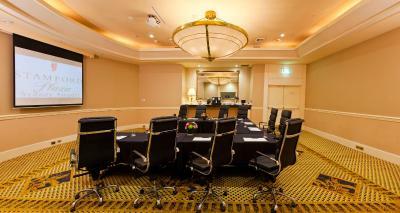 When would you like to stay at Stamford Plaza Sydney Airport? 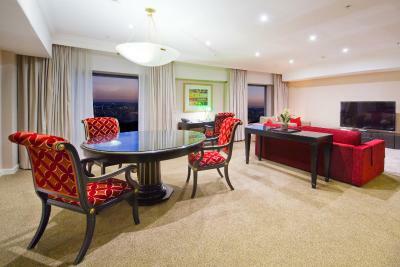 This spacious, air-conditioned room offers views over Sydney city. It features soundproofed windows, a minibar and a spacious marble bathroom.There is a flat-screen LCD TV featuring international news channels. Please note that disabled facilities are available. For further information please contact the property in advance, using the contact details found on the booking confirmation. Private parking is possible on site (reservation is not needed) and costs AUD 30 per day. 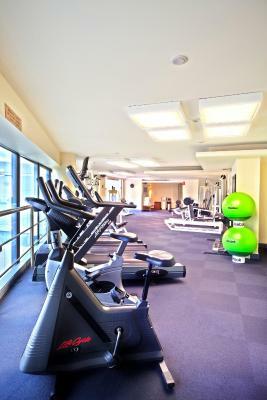 Located on the higher floors of the hotel, this spacious, air-conditioned room offers views over the Sydney International and Domestic Airports. It features soundproofed windows, a minibar and a spacious marble bathroom. 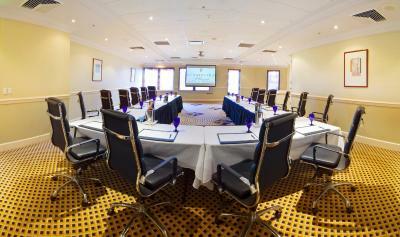 This spacious, air-conditioned room offers views over the Sydney International and Domestic Airports. It features soundproofed windows, a minibar and a spacious marble bathroom. 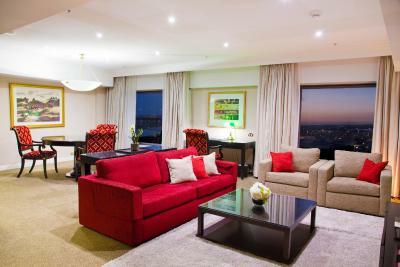 This suite offers views over the city and has a separate living area and 2 large marble bathrooms. La Boca Bar and Grill is open now. MUST TRY! 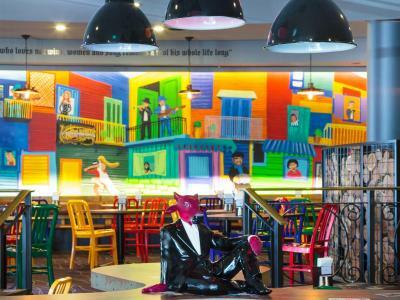 This restaurant specializes in Argentinean cuisine and serves breakfast, lunch, and dinner. Guests can enjoy drinks at the bar. Open daily. 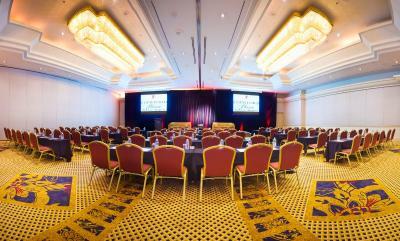 House rules Stamford Plaza Sydney Airport takes special requests - add in the next step! Stamford Plaza Sydney Airport accepts these cards and reserves the right to temporarily hold an amount prior to arrival. Please note that there is a 1.52% charge when you pay with Visa, MasterCard credit cards, American Express or JCB credit card. Please note that there is a 3.44% charge when you pay with Diners Club credit cards. Please note that there is a 1.76% charge when you pay with China Union Pay credit cards. 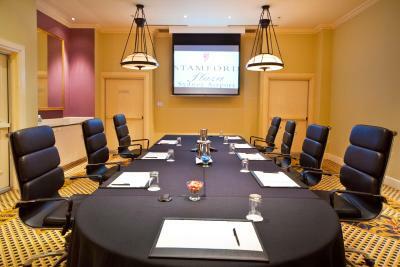 Please note that Stamford Plaza Sydney Airport requires a credit card pre-authorisation of the total accommodation cost plus AUD $100 per night upon check in to cover any incidental charges. The name of the credit card used for the booking should correspond to the guest staying at the property. The bath didn't look like it had been cleaned properly and the shower taps are unusually placed however overall it was a nice room. Dated feel as you enter the hotel. Restaurant was cold inside. Rooms aren’t sound proof. Neighbour came in at 1am, talked and put on the TV of which I could hear everything. Uncomfortable bath, cannot lie in it. Nice room with a view. Very friendly and professional staff. Ease to get to from the airport. Roadworks make it hard to get into the property.